Wellington loves to eat. To see how much, visit the capital during its annual culinary festival, Visa Wellington On A Plate. For 17 days each August, a city that usually maintains at least a modicum of dietary decorum dives headlong into a hedonistic bender of over-indulgence, sparing little thought for waistlines, wallets, and a good night’s sleep. The whole region comes to the party, from the northern outposts of Kapiti Coast and Wairarapa wine country, to the Hutt Valley and salty southern suburbs. The hub of the action, however, is downtown Wellington which is whipped into a frenzy of laneway parties, pop-ups, food truck rallies and more. Amongst the throng that pours into the region for the occasion are some of the world’s best chefs, who team up with local luminaries to infuse Visa WOAP with international flavour. These cross-cultural culinary exchanges are some of the hottest tickets in town. One of this year’s sell-outs is sure to be Kiwi-born chef Ben Shewry’s 'Attica at the Shack'. The darling of Australian cuisine and co-owner of much-lauded Attica will boomerang back from Melbourne to present a five-course lunch at Ortega Fish Shack under the watchful eye of his old mentor and friend, the legendary Mark Limacher. Not content to simply send a chef across the Tasman, Melbourne’s iconic Cumulus Inc. is primed for the full takeover at what could be its young cousin, Egmont St. Eatery. Their similarities include highly seasonal, contemporary menus and casual-chic style, which bodes well for their banquet blending the best of both worlds. Jenny Gao is another visionary from abroad. A food writer and the chef behind acclaimed Shanghai restaurants Baoism and Fly By Jing, Gao will team up with the Wholesale Boot Company, itself no stranger to modern Asian flavours. Their Sichuan Soul Food Feast will showcase Gao’s signature fast and casual food, created using fine Wellington produce. Wellington on a Plate is proudly locavorious, in keeping with the capital’s prevailing culinary ethos. The region’s chefs source an enviable array of ingredients within a 100-kilometre radius, including artisan cheese, boutique olive oils, game meats and freshly caught seafood, plus all manner of fruits, vegetables and foraged herbs. Then there are world-class Wairarapa and Marlborough wines, barrel-loads of craft brews and a measure of spirits, along with coffee from more than a dozen roasteries. 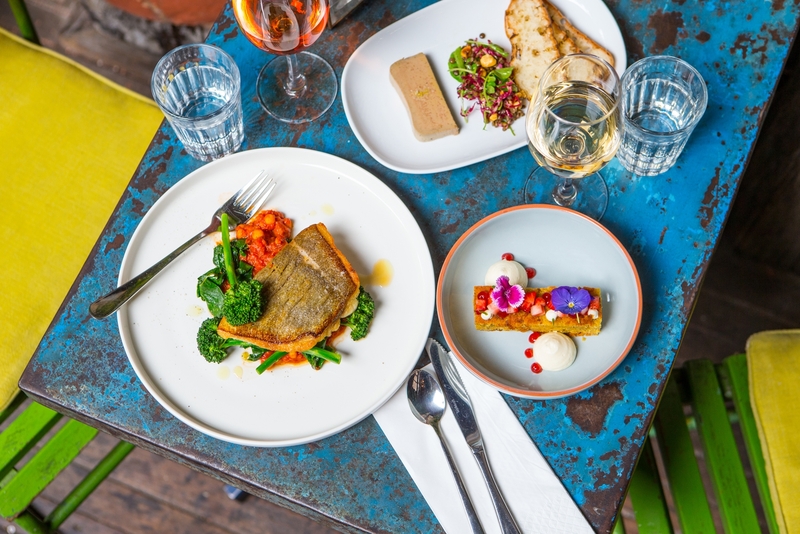 Wellington has never had it so good when it comes to eating and drinking, a fact celebrated in VISA WOAP’s 2017 rallying call to ‘celebrate food as part of New Zealand’s culture’. It’s easy to oblige with freshly shucked oysters and a beer in hand, but this year’s festival offers more serious food for thought at The Future is Kai – New Zealand Food in 2030. Co-hosted with the New Zealand food movement, known as ConversatioNZ, this one-day symposium will line up many of the nation’s most passionate professionals alongside Ben Shewry and the LA Times’ Pulitzer Prize-winning food critic, Jonathan Gold. Festival-goers can also champion New Zealand’s food culture by voting for their favourite Dine Wellington dish. This easy and great-value gateway into the delicious world of WOAP sees more than 130 cafes, restaurants and bars offer locally flavoured set lunch and dinner menus for the duration of Visa WOAP.